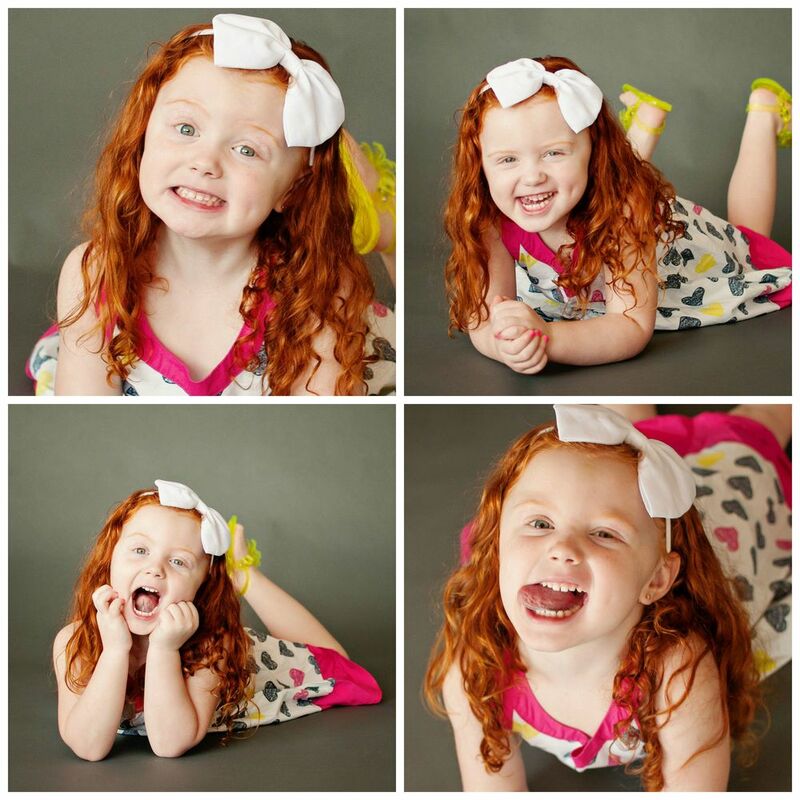 When Haidyn walked into the studio, I just knew we were bound to have a ton of fun! She is so full of life and character; with a contagious smile and let's talk about that elephant in the room - her hair! How beautiful, right?! We started off the session with sassy poses and cutesy smiles, and then the real Haidyn personality popped in for a visit. Check out these silly faces! Haidyn's mommy and daddy have been bringing her to TLP since she celebrated her FIRST BIRTHDAY. Can you believe it? If you can, hand me some of that belief, because I am out of it, completely. The time has gone by so fast, we have had several, fun-filled sessions, I've pulled many of my tricks out of the bag for her smiles, and now here she is! 4 years old and still adorable! TLP is sent beautiful dresses, bows, outfits, and more, by several sponsors and boutiques, but one of my favorite boutiques for children's clothing, A Pocket Full of Sunshine Boutique, sent me one of the most beautiful pink and black dresses, it has the perfect touch of class, lace, and it is SO soft, surprisingly comfortable for a "dressy" type... well... dress! I decided to see if Haidyn could model it for us, and she didn't disappoint! Check out her modeling photos!